A suspected smuggling boat has been spotted Black's beach Tuesday. 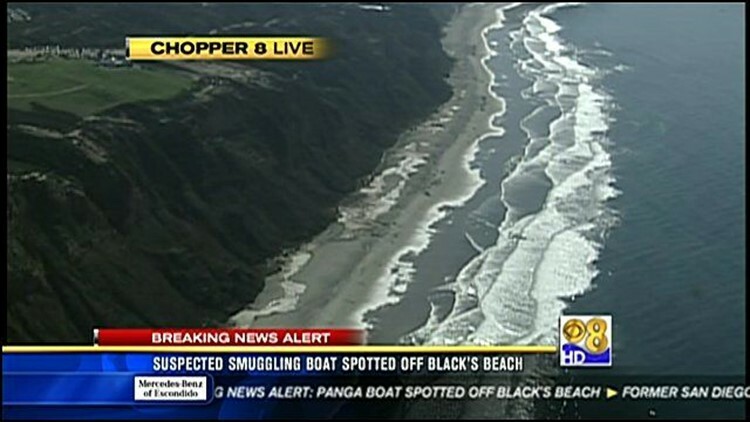 SAN DIEGO (CBS 8) - A suspected smuggling boat was spotted off Black's Beach Tuesday. According to a Chopper 8 report, the Coast Guard spotted the panga at about 10 a.m., and also saw at least one person fleeing the area on foot. A Border Patrol helicopter was seen searching the area. It was not known if authorities were still investigating the sighting as of Tuesday afternoon.